You can always count on Stream Machine to come up with exciting and intuitive ways to introduce a timeless classic into the pool environment. Grab a handful of friends, a few drinks and prepare for an entirely new spin on a party time favorite! 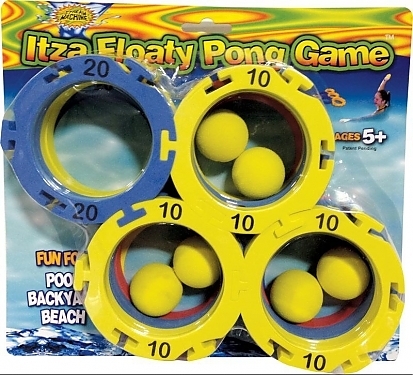 ItzaFloatyPong includes all of the essentials needed to transform your pool into the premier party destination. A collection of multi-colored rings are an ideal fit for standard sized plastic cups. 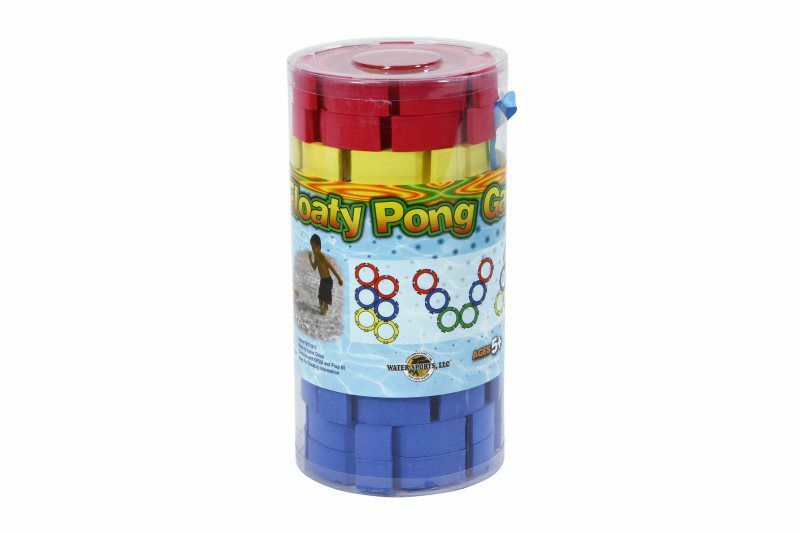 These rings and their ability to float on water add multiple layers of depth and excitement to the college time favorite, Beer Pong! Adding even more variety to a product that excels in reimagining a timeless classic, ItzaFloatyPong can be played in multiple ways. Not interested in Beer Pong, but still want to test you and your buddies aim in the water? This set has you covered! Rings come in multiple colors and have been assigned numbers to represent your score. Creativity and customization are encouraged as all twelve rings can be interlocked to one another in a design of your choosing! This set also includes six foam balls that are great for tossing short to long distance shots. Regardless of where your in water activities take you this summer, the ItzaFloatyPong set has everything you need to get the absolute most out of your time in the sun! Interlocking pieces for a variety of game shapes. Can be used with or without plastic cups. Targets have point values and color variations for additional games. 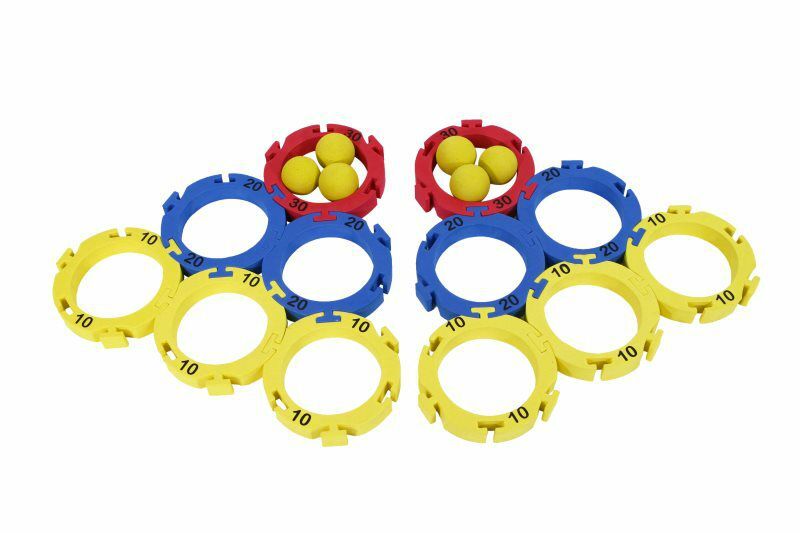 6 foam balls and 12 interlocking targets included. Try putting cups in the rings!